I have 20 years of experience translating from Ixil to English both on the phone and in-person. I interpret in a variety of settings - courtroom proceedings, lawyer-client meetings, case worker interviews, medical patient and family consultations, conferences, museums, and at the United Nations. 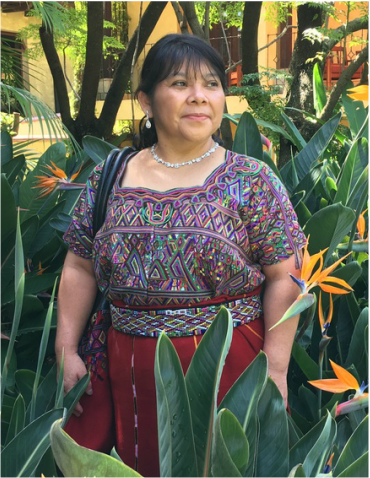 I utilize hands-on activities that teach traditional Mayan arts and culture, including weaving, dancing, cooking, horticulture, and child-rearing. I also give special lectures and presentations illustrated with slides and video to senior citizen groups, elementary and high-school students, university students, teachers and professors, museum and cultural center audiences, and other interested organizations.